'The Witcher 3' Could've Been 'Diablo' Style Top-Down ARPG | Nerd Much? The Witcher 3 has taken off, and aside from its technical issues that are affecting a few people, it’s safe to say it is one of the greatest RPGs of all time. But what if the original The Witcher game were created as a top-down RPG in the style of Diablo? Well, in a recent video, former project lead Ryszard Chojnowski stated that the game was actually intended to become a top-down RPG, with the 2002 demo being inspired by Baldur’s Gate: Dark Alliance. According to Chojnowski, the original Witcher only had one Witcher sign, and Geralt wasn’t even set as the leading character when it was made. 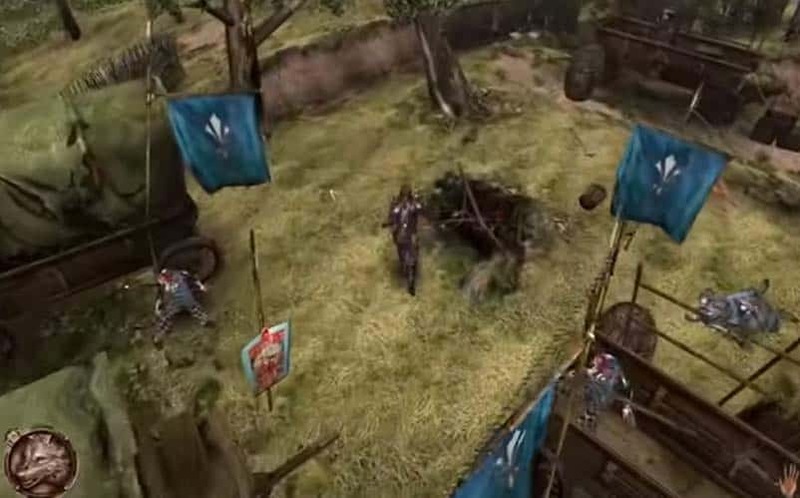 Of course, the original Witcher demo shown in the video actually looks pretty good as a top-down action RPG. And if you put aside Chojnowski’s dry, boring demeanor, the video is quite an interesting look at what the series could’ve been. I’d be curious to see if the next Witcher game could become an ARPG to take a break from the norm, similar to the break that Tomb Raider games took with Lara Croft and the Guardian of Light. See Also: Could ‘The Witcher 3’ Spawn a New ‘Witcher’ Movie or TV Series?